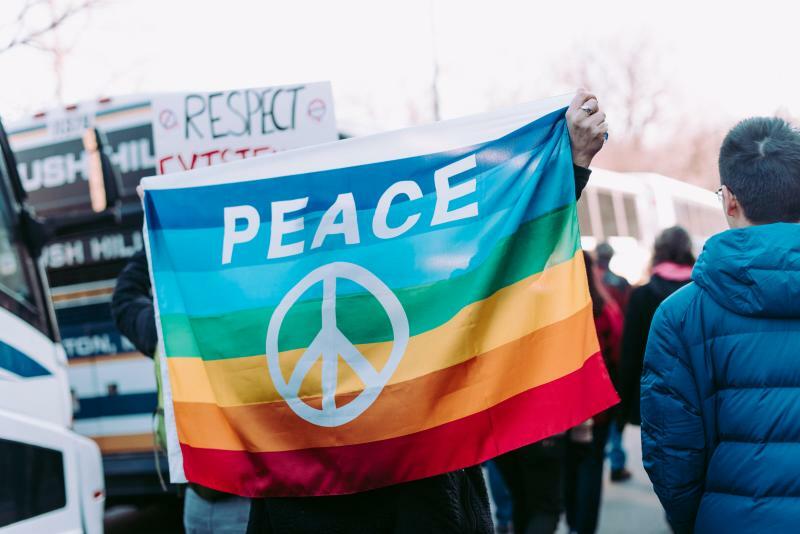 At the Stuart Center we believe that we are called to be part of building a culture of peace and non-violence. Peace is not merely the absence of war and non-violence is not simply a tactic for engagement or the absence of violence. Active non-violence is a way of life, an orientation for living and working among people who hold a wide array of viewpoints and beliefs. It finds its way into our everyday relationships and interactions. Peace and non-violence call for listening closely to one another; communicating one’s truth in non-offensive ways; cultivating social cohesion characterized by tolerance and respect; and empowering those who have been silenced to raise their voices. Through education, advocacy and social action the Stuart Center, particularly through the Office of Justice, Peace & Integrity of Creation, takes its place, shoulder-to-shoulder, with all who believe that peace and active non-violence constitute the path to healing and reconciliation with the earth as much as with our sisters and brothers. We loved working with CEDC!